Among producers, there are those at the forefront who seemingly have nothing but smash singles on their resume. Then there are those who may not touch the charts all the time, but still offer a steady stream of notable bangers. 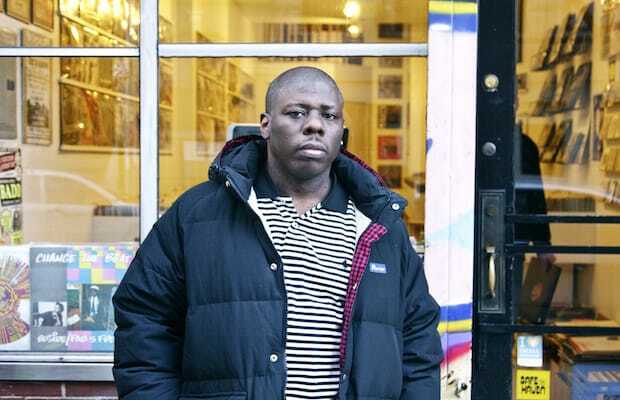 Buckwild, the Bronx-raised DJ-turned producer, who first entered the game as a beatsmith under the guidance of Lord Finesse and is a member of the legendary hip-hop collective Diggin' In The Crates Crew (D.I.T.C. ), boasts a discography that’s closer to the latter. Despite shaping a bulk of Big L and O.C.’s debut efforts in the ‘90s, producing album cuts with much fanfare (The Notorious B.I.G.’s “I Got A Story To Tell”), Billboard chart toppers that were crowd favorites (“Whoa” by Black Rob), and providing beats for some of the industry’s most prestigious names (Nas, Jay-Z, 50 Cent, The Game, & Fat Joe), Buckwild’s storied résumé has rarely been discussed in detail, until now. On a chilly Sunday afternoon, Complex met up with the veteran at one of his favorite record spots in the Lower East Side, Big City Records, and strolled down memory lane revisiting the stories behind his biggest tracks.